Two years ago, I was reflecting on my practices as an IB Primary Years Programme (PYP) art specialist. 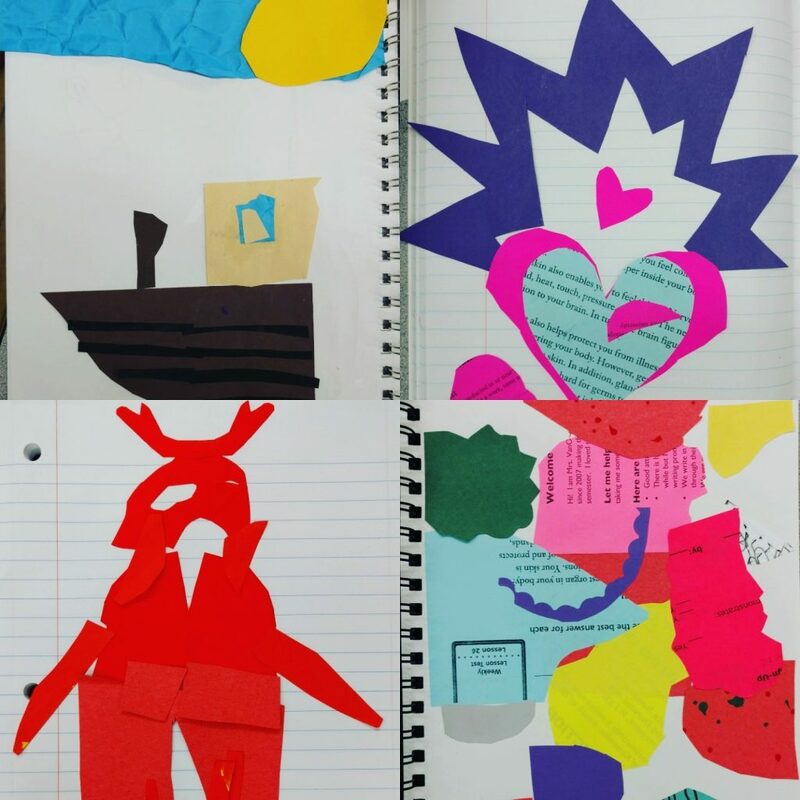 I was a well-oiled machine: introducing and directing art projects, and making connections to every single grade level planner. In a way, I was comforted because I knew the connection was there; I was at the very least exposing students to these connections while they improved their skills. 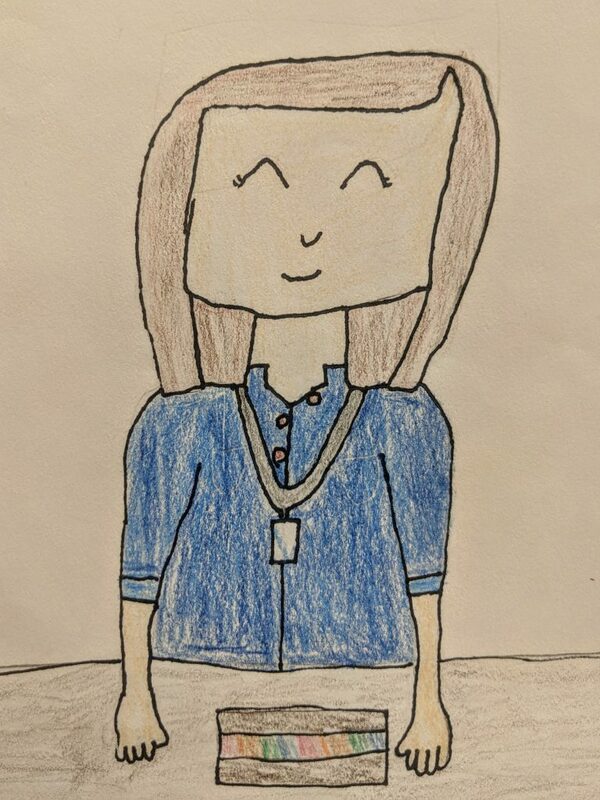 However, I found myself mostly disappointed, because I found it difficult to get the students to care about those connections with me. I started admitting to myself that those were my connections, they only made the most sense to me, and that forcing those connections onto the students was not helping their own inquiry process. At about the same time, I began hearing about Teaching for Artistic Behavior (TAB) from other art teachers on social media. Like any lifelong learner, I was curious. I started asking questions, reading books and visiting TAB classrooms nearby. I learned that through this philosophy the teacher facilitates the art room as a studio space while the students drive the inquiry and the learning. The results of my inquiry encouraged me to make the biggest, most meaningful change I have ever made professionally. I flipped my art room to reflect studio practices and relinquished control of the projects. Now when students come to class the only first five or ten minutes are mine. I may do a quick demo on a skill or technique. I may introduce an artist, movement or cultural tradition. I may set out their current projects and have students constructively critique with each other. 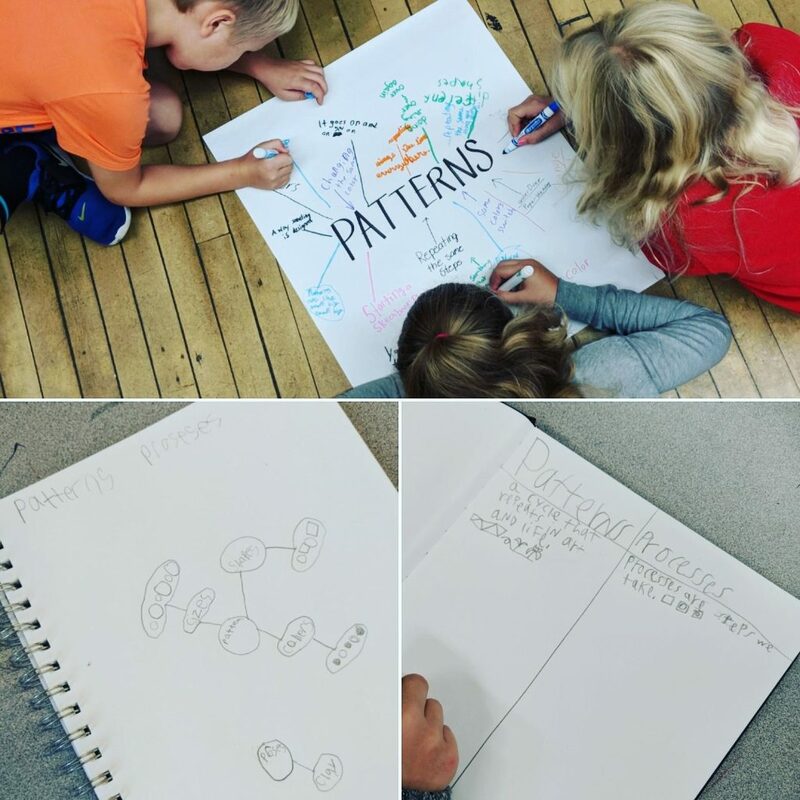 Anything I choose to do is in reaction to observed student needs or a connection to the unit of inquiry. After that, students have the rest of class to be artists. 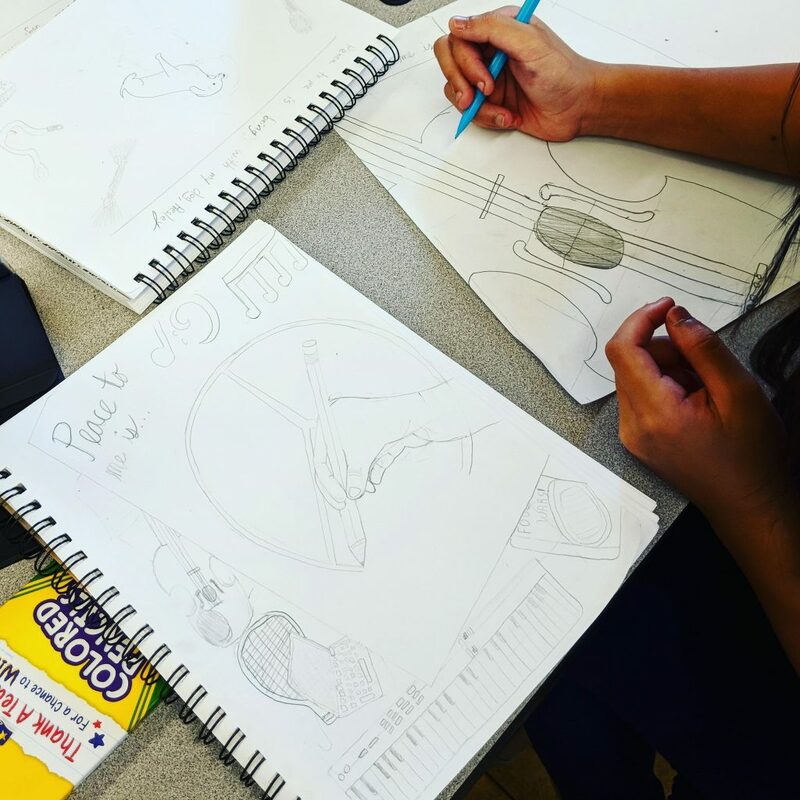 The older students write plans with art-making goals and sketches in their sketchbooks. When their plan is approved by me, they work on that project until it is complete. Once it is completed, they write an artist statement and reflect on their initial art-making goal. 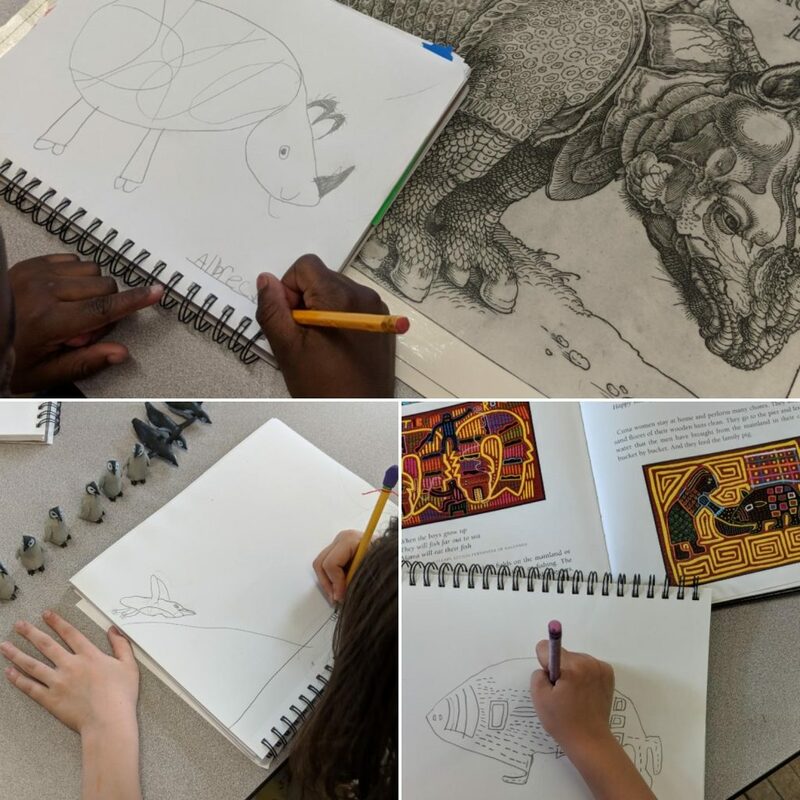 The younger students are in centers where they practice art making skills, expose themselves to different materials, and learn about art from other places and times. This center structure has positively impacted engagement and behavior. For each unit of inquiry in each grade, I will write a challenge on the board to help students make a connection. 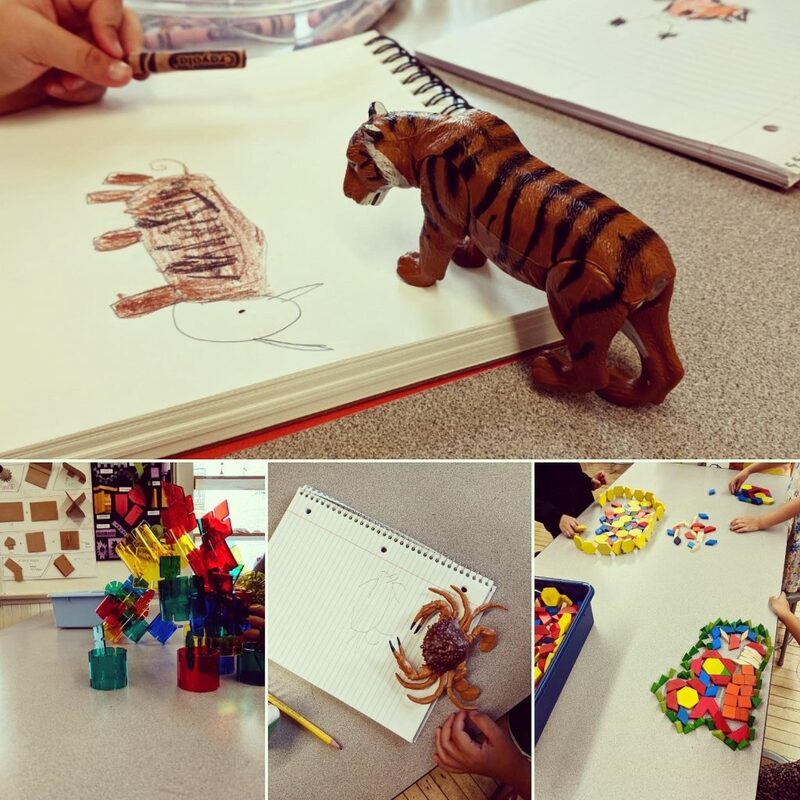 If kindergarten is learning “People celebrate who they are” under the transdisciplinary theme of “who we are”, I will challenge them to make an artwork celebrating their individuality or their culture. We will read books about the importance of celebrating yourself. I will introduce them to self-portraits. If fourth grade is learning “The distribution of resources presents challenges and opportunities” under “sharing the planet”, I will challenge them to create an artwork bringing awareness to an issue. We will look at art with a voice, analyzing the artist’s choices and message. I will introduce the importance of graphic design if employing lettering within an artwork. 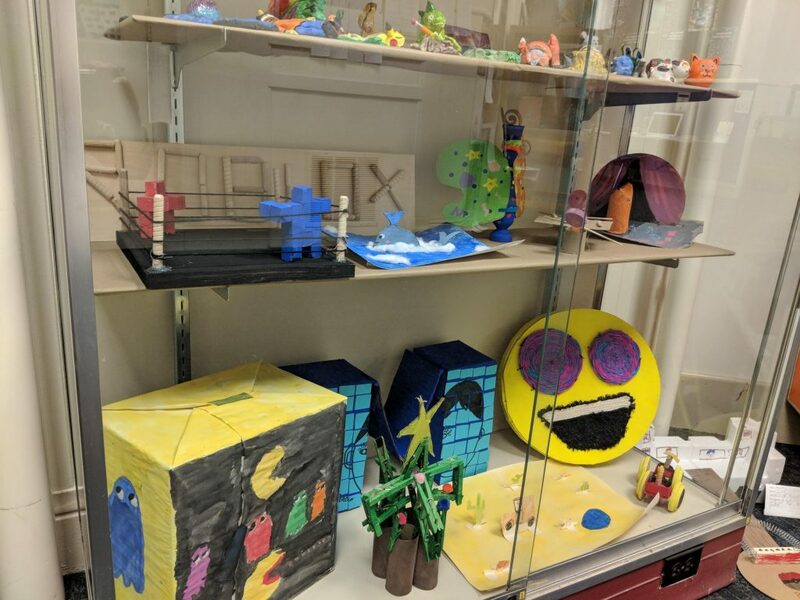 Students are introduced to art connections but are not limited to my connections, they have the freedom to create their own. Every day is wonderful chaos. Every class surprises me with variety, creativity and capabilities. The amount of joy, curiosity and expression coming from each student has rejuvenated my own wonder. Making this monumental shift was not at all terrifying, because I knew it was what needed to be done to provide the students an authentic art experience. If you are interested in learning more, please check out “Engaging Learners Through Artmaking: Choice-Based Art Education in the Classroom” (2018, second edition) by Katherine M. Douglas and Diane B. Jaquith and “Studio Thinking from the Start: The K–8 Art Educator’s Handbook” (2018) by Jillian Hogan, Lois Hetland, Diane B. Jaquith, and Ellen Winner. 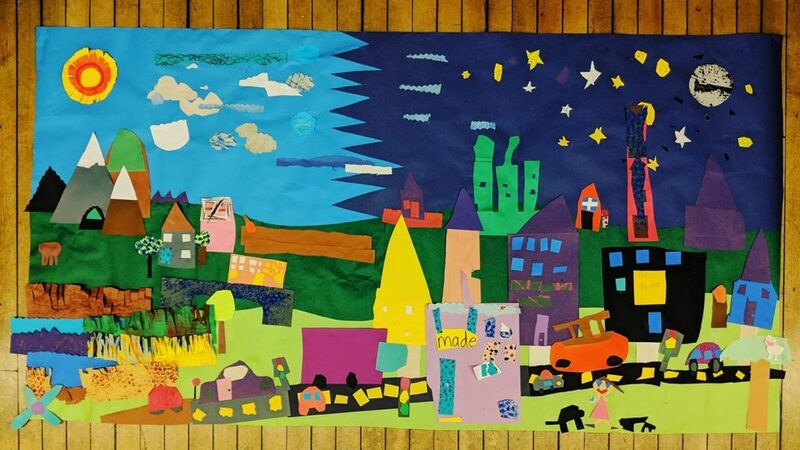 Julia VanOudenhoven has been the PYP Art Specialist at Jefferson Lighthouse School, USA since 2007. 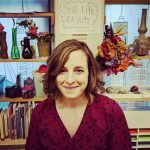 She enjoys helping students find joy in art, self-expression and making transdisciplinary connections. You can follow her art room on Instagram @jls.art. I LOVE THIS. Thanks for sharing, Julia! Very cool and inspiring. What a wonderful opportunity the students have to be able to engage in your classroom. I have seen her instruction and Julia is an outstanding IB art teacher. She is true to her words.